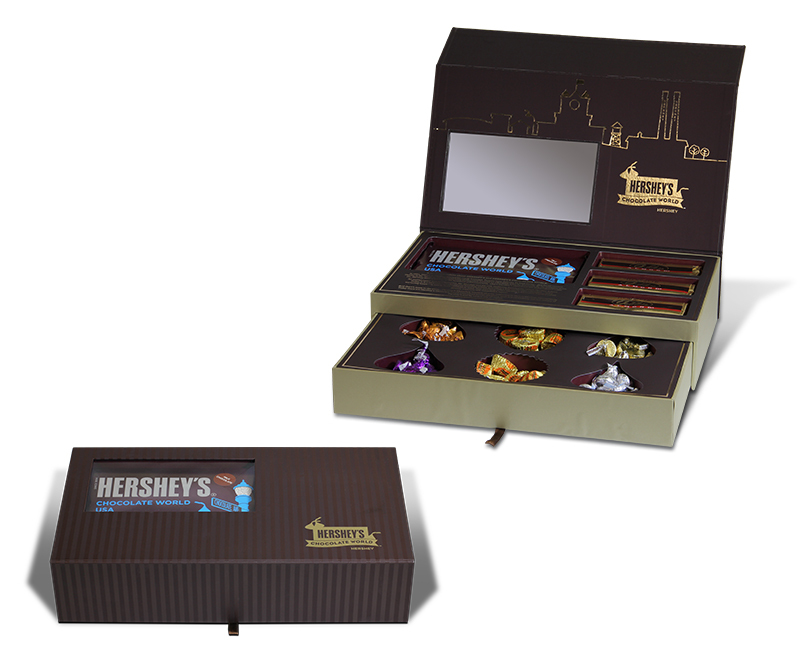 Hershey’s Chocolate World® Premium Boxes – Zucconi Idea Agency, Inc. 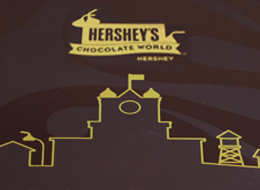 When Chocolate World handed us the brief for this project, they handed us something else as well. A clean sheet of paper. As far as we're concerned, that's a dream job. Because we pride ourselves on being able to combine profound creativity with executional discipline. 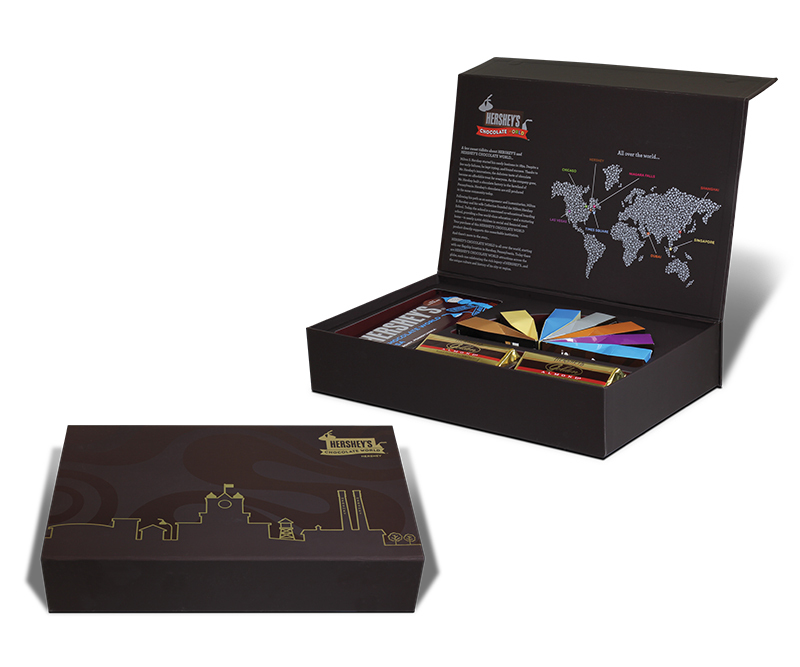 So we filled that blank sheet of paper with truly innovative designs that featured ingenious openings, exciting shapes, compelling graphics and luxurious finishes. All while remaining grounded in production, printing and budgetary realities. 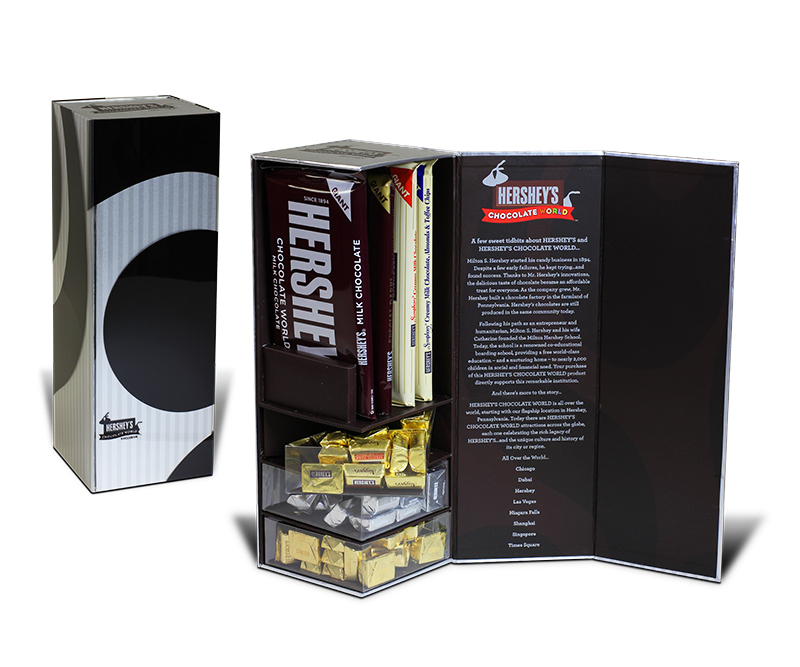 We oversaw the process from ideation to completion. So when it came time to produce these spectacular designs, production went without a hitch. The result is a remarkably successful collection – one that's noteworthy for its dramatic sales numbers as well as its dramatic on-shelf presence.